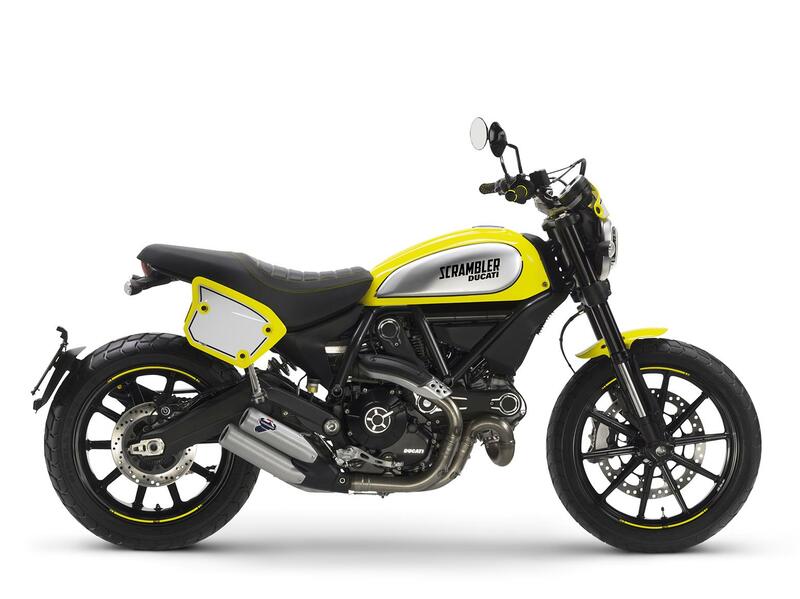 ﻿ Should I scramble for a Scrambler? 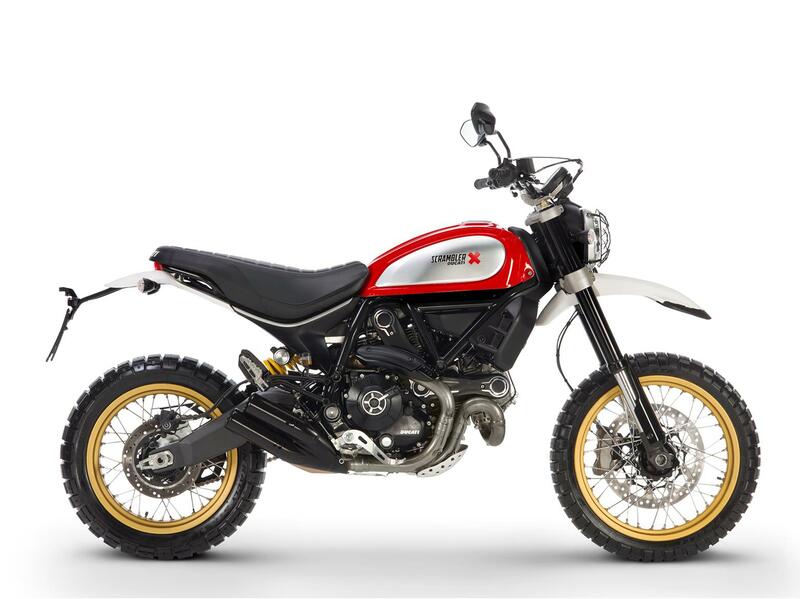 The Icon is the base model Scrambler and features aluminium tank, exhaust and belt covers with cast wheels and a basic black seat cover. It comes in red or yellow with the option of a lower 770mm seat height and was released in 2015. The Urban Enduro adds off-road styling thanks to a higher mudguard, spoke wheels, handlebars with a cross bar, a headlight grille, aluminium bash plate and ribbed brown seat. It only comes in ‘wild green’ and was released in 2015 but discontinued a year later. The Classic takes the Icon as a base and adds spoke wheels, aluminium mudguards and a vintage brown seat with diamond shaped inserts to give it a 1970s feel. The tank also has a black stripe running down it. 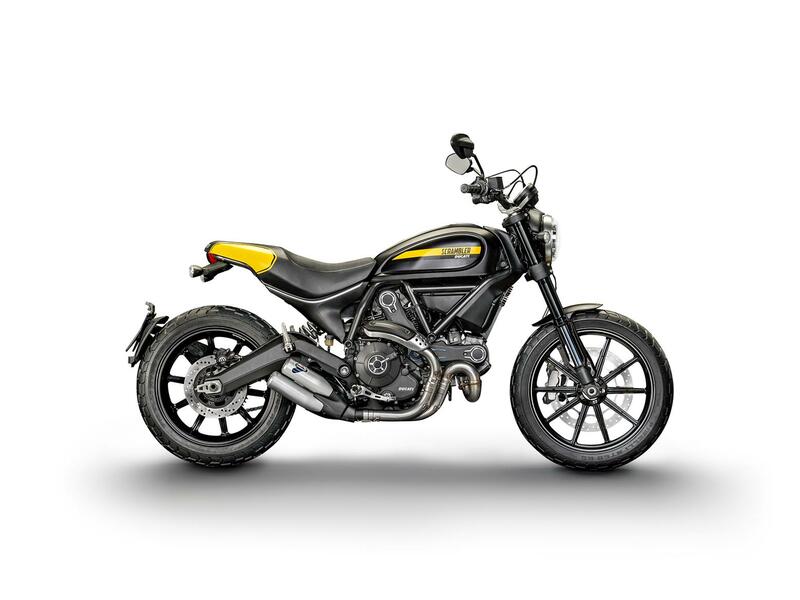 The sportiest Scrambler model has the Icon’s cast wheels but features short-cut mudguards, black tank side panels, a race inspired seat, lower flat-track style bars and Termignoni end cans. It only comes in black. Released in 2016, the Flat Track Pro gained a flat track style paint scheme, racing number boards, headlight fairing, short mudguards, CNC machined pegs, master-cylinder cover and sprocket cover and Termi pipes. 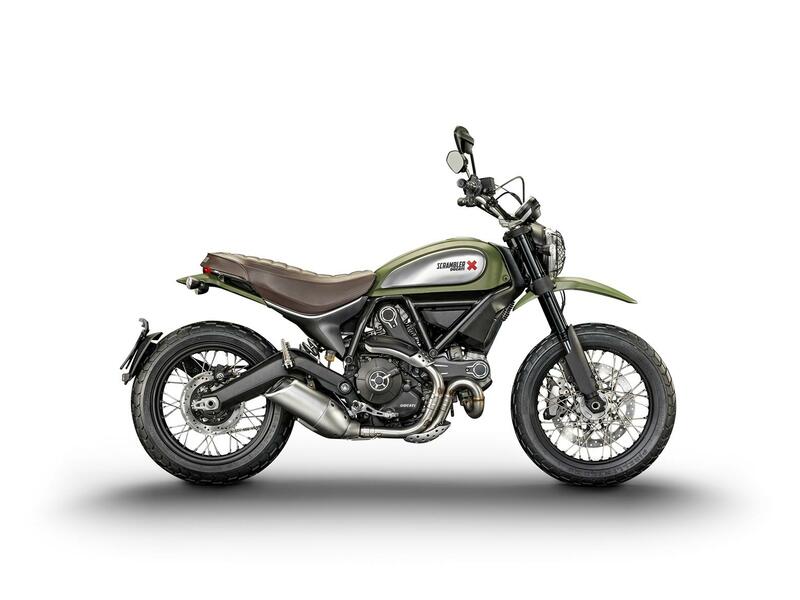 Essentially a Scrambler Icon with flatter bars, a flat track seat and some blacked out details, the Mach 2.0 sells on the back of the fact that rather than the standard Icon single colour paint schemes, you get one created by Californian bike designer Roland Sands and based on the Bell Cross Idol helmet. But it has to be said, marketing crap aside, it does look fabulous. 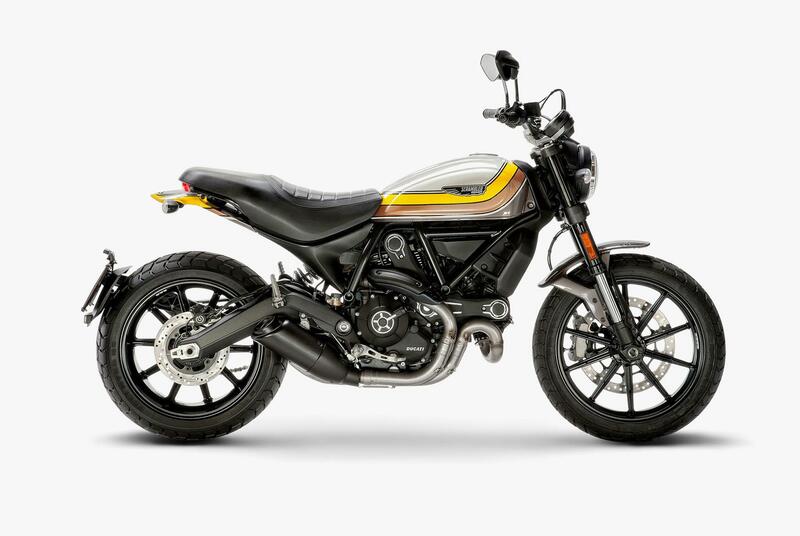 Far more than just a Ducati Scrambler with high bars, the Desert Sled is a purpose-built scrambler with a reinforced frame, new swingarm, adjustable suspension and loads of ground clearance but it is still powered by the same 803cc V-twin. It was launched in 2017. 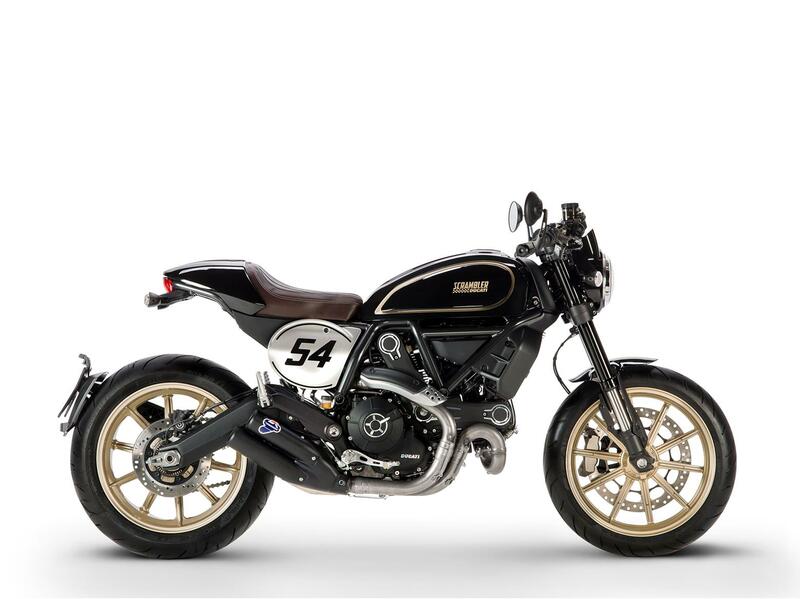 Also released last year, the Café Racer comes with 17-inch wheels, clip-on bars and a cool café racer style that includes bar-end mirrors and a stubby sat unit. 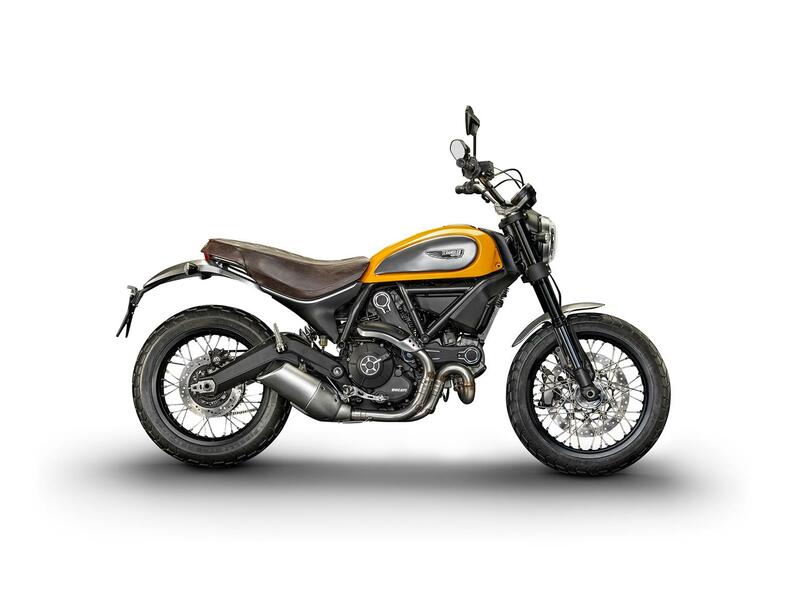 It’s the sportiest model in the Scrambler range but not the most comfortable! 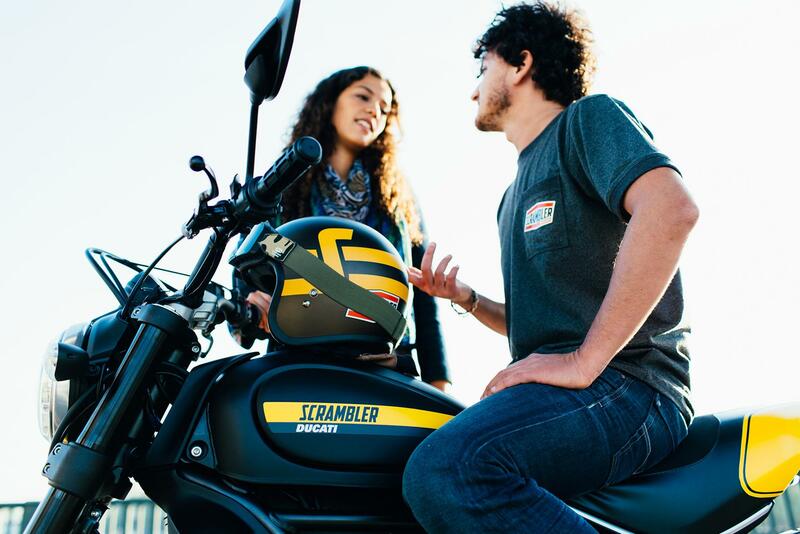 Ducati’s promotion runs from April 23 until June 23, click here for more information or here to find your closest Ducati dealer.